We have developed a system called DeepExpr, a novel expression transfer approach from humans to multiple stylized characters. We first train two Convolutional Neural Networks to recognize the expression of humans and stylized characters independently. Then we utilize a transfer learning technique to learn the mapping from humans to characters to create a shared embedding feature space. This embedding also allows human expression-based image retrieval and character expression-based image retrieval. We use our perceptual model to retrieve character expressions corresponding to humans. 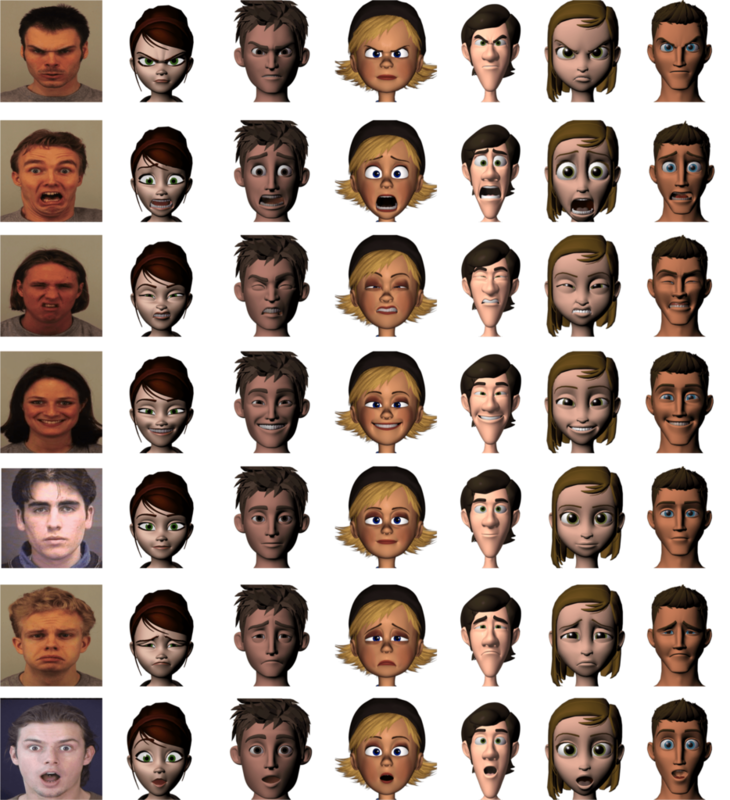 We have evaluated our method on a set of retrieval tasks on our collected stylized character dataset of expressions. The ranking order predicted by the proposed features is highly correlated with the ranking order provided by a facial expression expert and Mechanical Turk experiments.